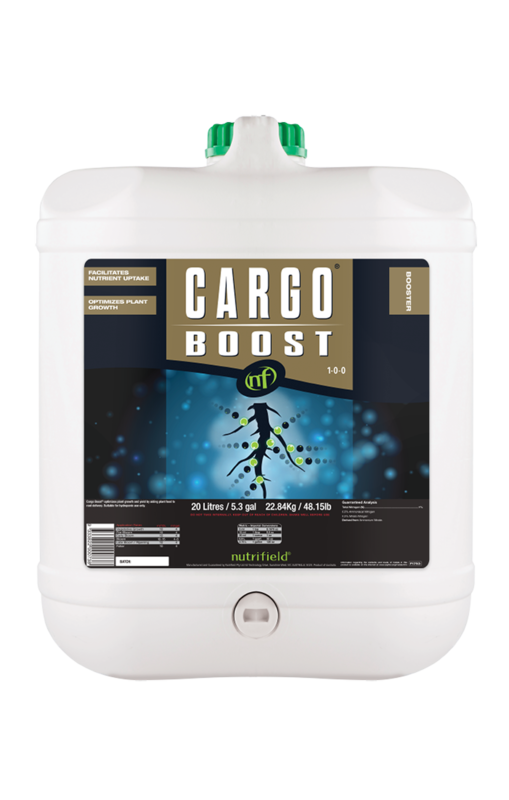 Cargo Boost contains a unique combination of vitamins, minerals, amino acids and polysaccharides to supplement nutrient profiles and promote micronutrient uptake. 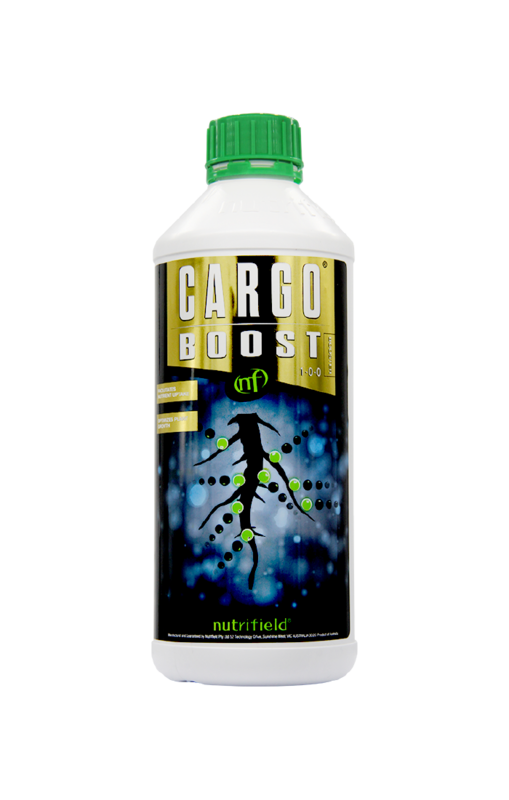 Cargo Boost components bind to micronutrients to form soluble, plant-bioavailable complexes – a process referred to as chelation. These chelated micronutrients are easily utilised by the plant, allowing improved micronutrient uptake by plants as needed, to support healthy, vigorous plant growth. 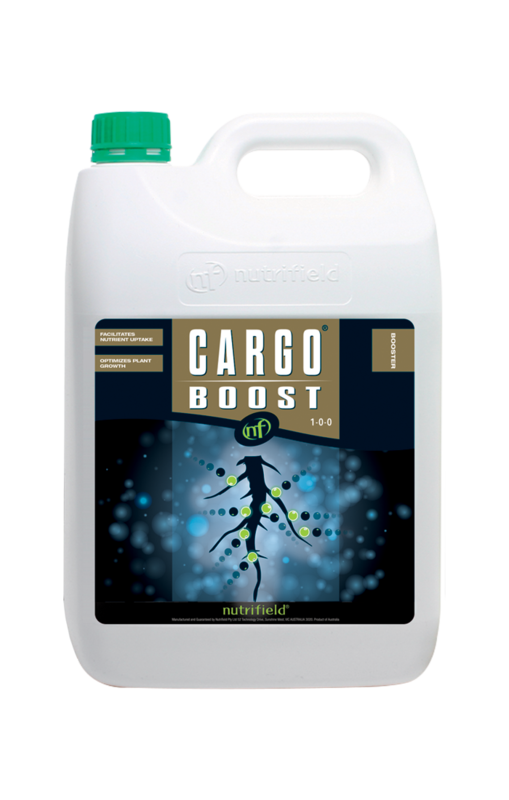 Nutrifield Cargo Boost is comprised of multiple chelators with varying properties which complement each other to maximise micronutrient chelation. This high degree of micronutrient chelation ensures that micronutrients are present in a form that is readily available to the plant, whilst also preventing nutrient lockout. The chelated micronutrients are readily utilised by the plant, facilitating increased micronutrient uptake by the plant roots. This ensures the plant is able to fulfil the increased micronutrient requirements associated with accelerated plant growth.